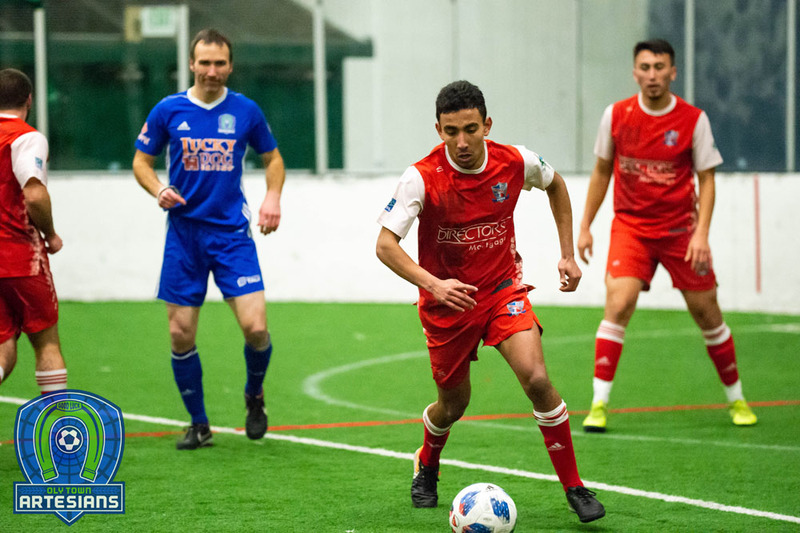 Bellingham, Wash. – The Oly Town Artesians wrapped up the 2017-2018 Western Indoor Soccer League season with an 10-5 loss to first place Bellingham United on Saturday night. JJ Olson, playing the field for the first time this season, and Matt Stalnik each scored twice to pace Oly Town, and Bradley Hanson made 32 saves behind a depleted Artesians roster that kept things close until late in the game. 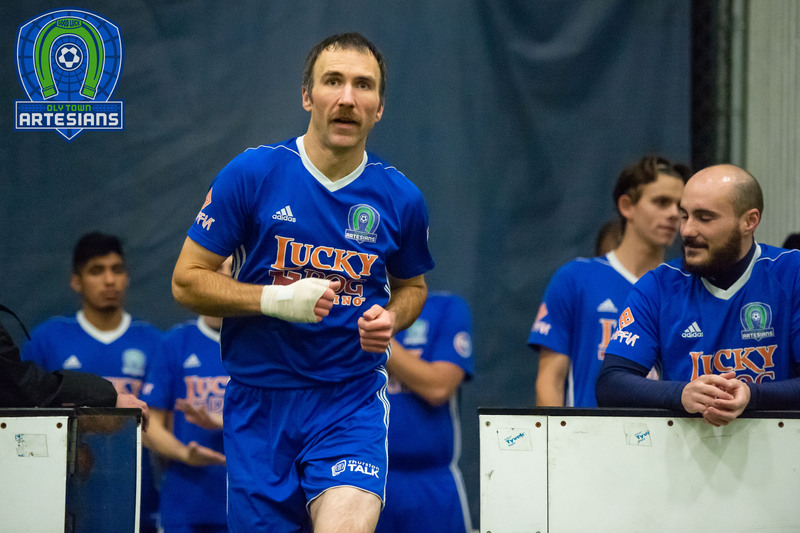 Stalnik scored his first goal of the game to tie things up at 1-1 midway through the first quarter and Oly added three goals in the second quarter – one from Brett Stallworth and both of Olson’s goals – and trailed the two-time defending WISL champions 6-4 at halftime. But Bellingham stepped up their defense and allowed just one more goal over the final 30 minutes – Stalnik’s second early in the fourth quarter – to secure the #1 seed in the WISL playoffs. 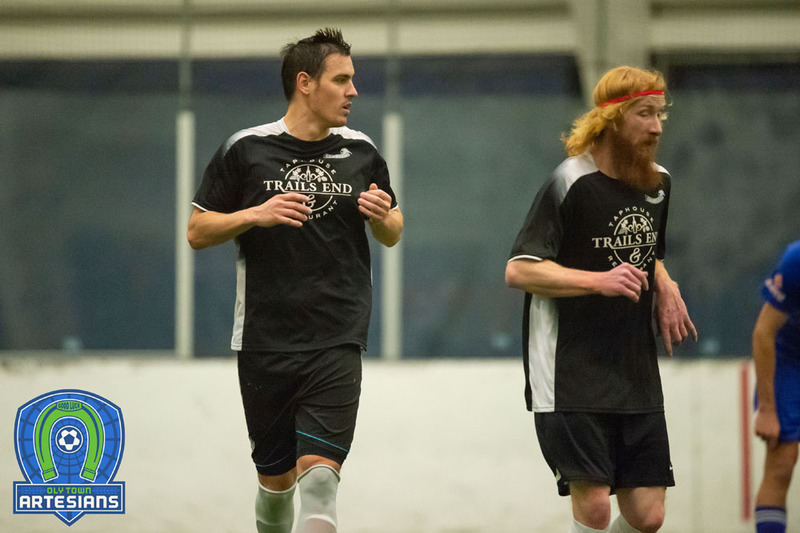 Nick Cashmere scored four goals and Richard Henderson scored a hat trick and added five assists for the Hammers. Noe Betancourt, Sawyer Preston and Kenny Parker each added goals to help United move to 7-1-0 this season. 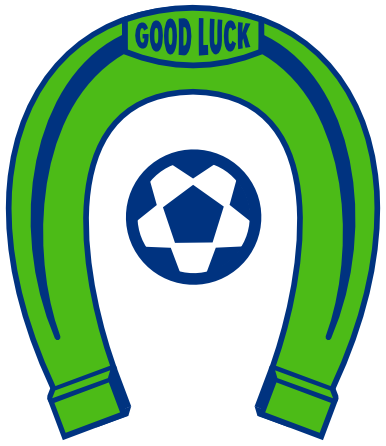 Oly Town fell to 1-7-0 in league play this season, completing a frustrating season in which they allowed 9.63 goals per game, the most goals on average of any team in WISL history. With his two goals, Matt Stalnik finished the season with nine and took the top spot for the team. He now has 22 goals over four seasons and 20 games with the club. Gabriele Zaccagnini scored eight goals to finish second. The outdoor Evergreen Premier League season is next up for the Artesians. Look for announcements on coaching staff, facility and more shortly. Tryouts will take place in late March or early April, preseason games get started in April and the season will start in early May.